Korchmar Full Grain American Leather Backpack Giveaway Winner: Congratulations to Brain M. of Cameron, MO, winner of the Korchmar Full Grain American Leather Backpack. Thanks to all entrants, and be sure to check the Dude homepage or Dude Giveaways section for your chance to enter our latest prize drawing. This giveaway concluded on December 3, 2017. Lug, tote, schlep, and haul in luxe American style this winter. 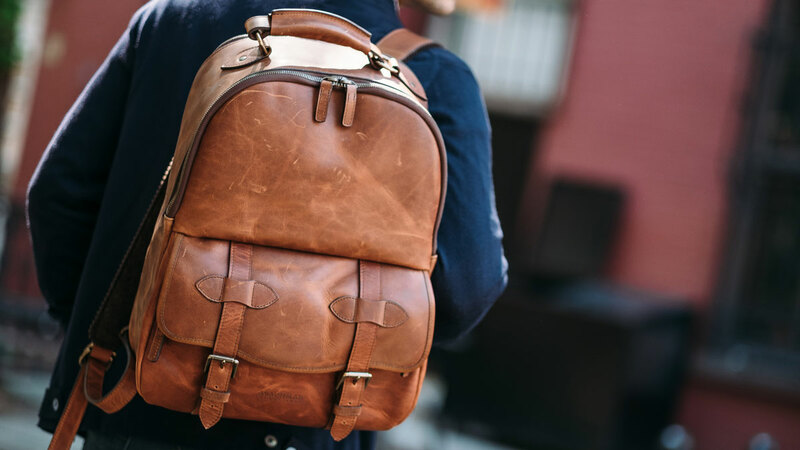 Click here and enter to win your choice of the Graham or the Lewis full grain American leather backpack from Korchmar. A $445 value! Max Korchmar founded his leathercraft shop in Cincinnati, OH in 1917. 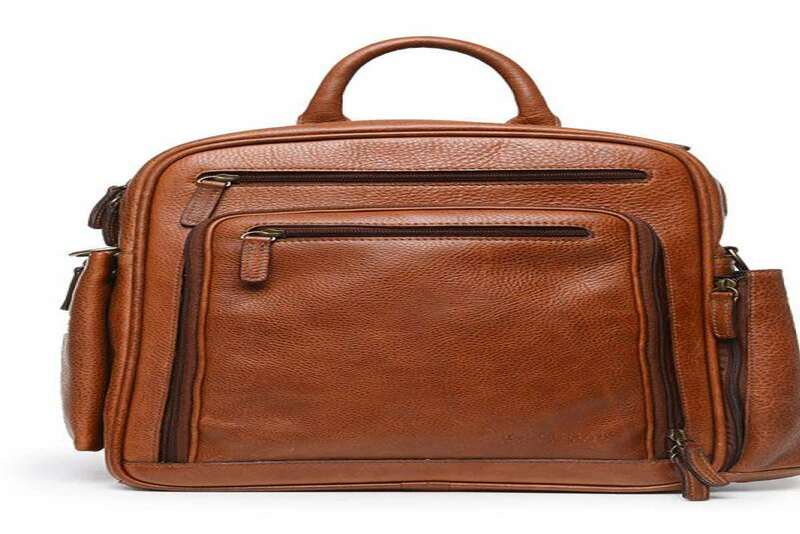 Today, his family still owns and operates it, and still prides themselves on producing high quality leather briefcases, travel bags, and accessories for business professionals like you. Or at least business professionals like you're going to look if you win a Korchmar Graham or Lewis backpack. The Graham is a commuter bag with classic, functional features. 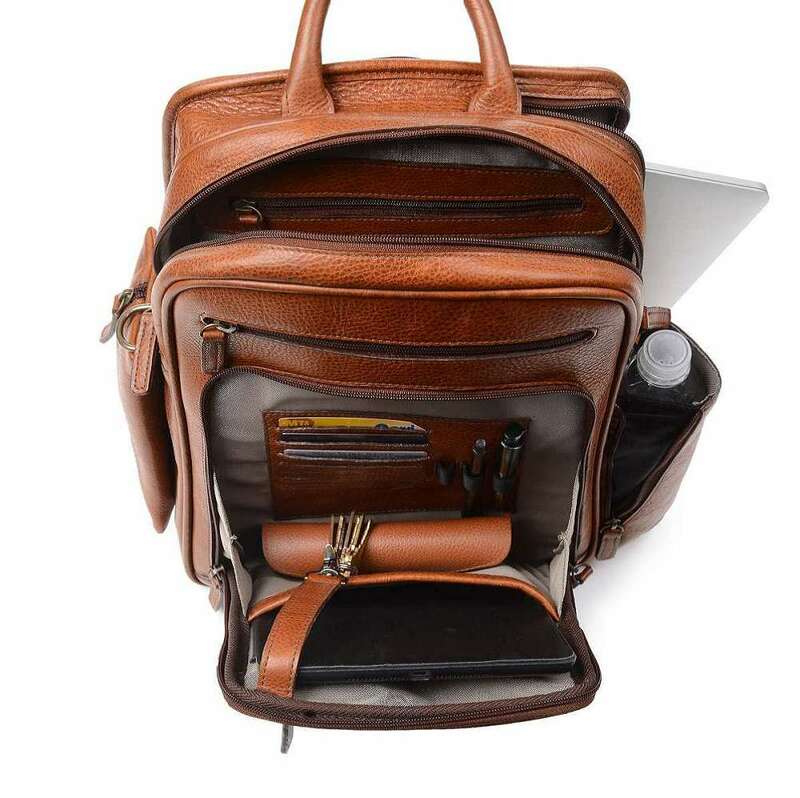 Its 9 pockets and compartments, including room for a 15" laptop, will tidy up and organize your EDC life without bulking out your silhouette, or making you look like a 10th grader. 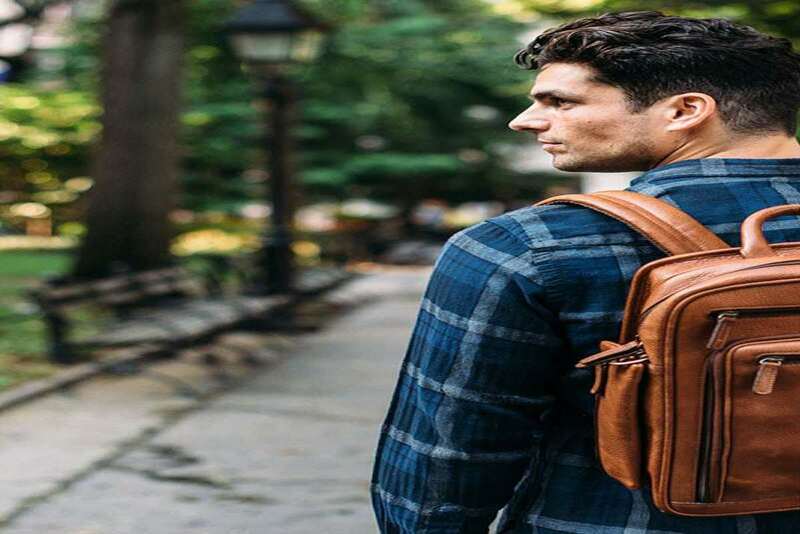 The Graham is handcrafted with American full-grain leather, and fitted with thick, padded shoulder straps you can wear as a standard backpack, or alter into a crossbody bag with an included removable, adjustable shoulder strap. Dimensions are 15" x 5" x 13". For the Lewis Korchmar has added retro messenger bag design elements to a traditional backpack shape. The Lewis front pocket snaps shut, but appears to latch with a pair of solid antique brass buckles. Underneath the snap-buckles the pocket is also zippered for added security. Inside you'll find an organizer panel for cords, sunglasses, passport, and smaller items, along with space for an extra layer and a 15" laptop. In addition to its full grain espresso leather exterior, the Lewis also has natural leather lining. Its measurements are 16" x 17.5" x 14". To register, click here and fill out the Korchmar Full Grain American Leather Backpack Giveaway entry form. Or, if you're already a member of DudeIWantThat.com, when the magic entry form button appears, just click it to enter. 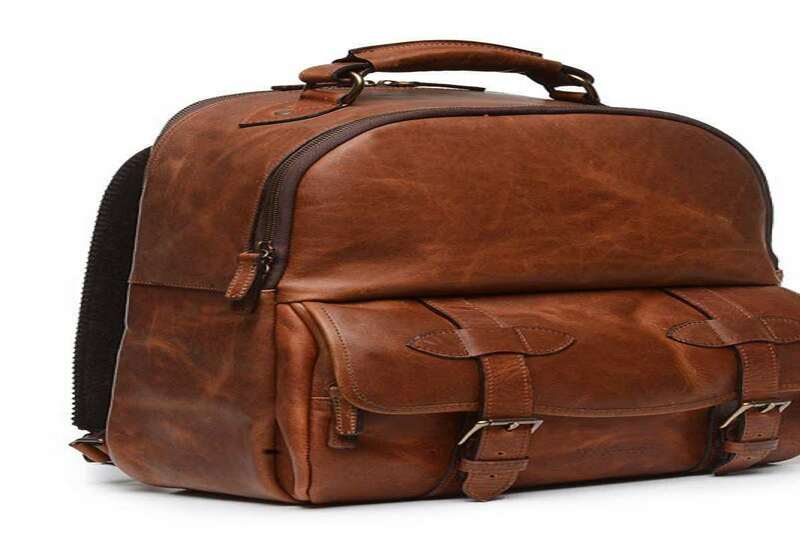 Giveaway prize includes winner's choice of either the Graham or the Lewis leather backpack. Retail value is $445. 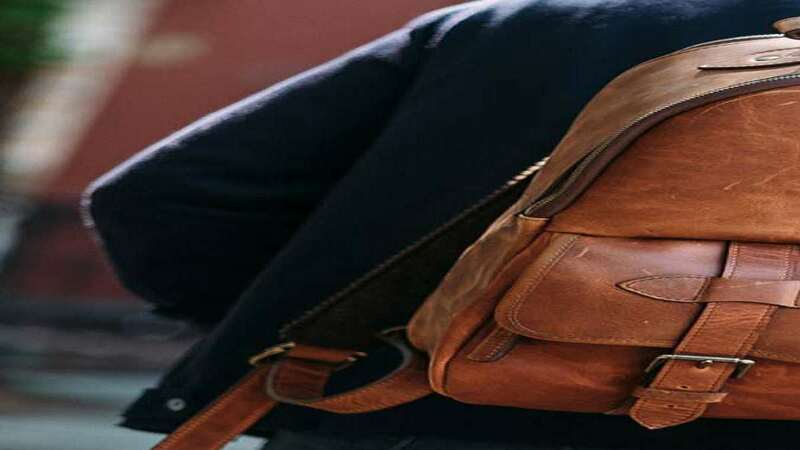 In addition to the Graham and Lewis backpacks, which you can purchase here and here, Korchmar crafts several other backpacks and messenger bags for everyday carry. At printing, many of them were on cyber sale here. If you need a new suitcase or portfolio, dopp kit or set of leather coasters - or if you need a gift for someone who does - you can view Korchmar's complete leather collection here.